The net income of Russia’s Aeroflot group that, besides parent airline includes Rossiya, Pobeda and Aurora carriers, reached 38.826 billion rubles (about $663 million) in 2016, the group’s IFRS report says. The year before the group showed loss of 6.494 billion rubles. The reason for such financial success may be a combination of favorable market conditions and the group’s fleet optimization efforts. Aeroflot’s revenue in 2016 grew by 19.4% against the previous year to 495.880 billion rubles. According to the group, the improvement in its financials was due to passenger traffic growth, better aircraft load, IT solutions usage to control business processes and weaker ruble. The Russian air transport market faced slump in passenger demand at the end of 2014 what made the local carriers to withdraw part of the fleet. Combined with the stop of operations of the country’s second largest airline, Transaero, this created a shortage of available capacity on the market last year. The remaining operators were able to increase profitability by raising the ticket fares. The other reason for skyrocketing profit is the cancellation of orders for widebody aircraft. Aeroflot CEO Vitaly Saveliev confessed in an interview to Rossiya 24 TV channel in December 2016 that the group had got back the deposits paid for these aircraft. As the deposited were paid in foreign currency several years ago, the weakened ruble enabled the airline to sharply increase revenues in ruble equivalent, he explained. The group has cancelled its order for 22 Boeing 787s as well as for eight A350-800s. Revenue growth was mainly backed by the regular flights segment which provided 403.760 billion rubles (81.4% of the total revenue). Compared to 2015 the regular flights revenue volume grew by 17.6%. Notably in 2016 the group was especially actively ramping up the international passenger traffic (+14.1%) which is the source of foreign currency. Charter flights amounted to only 17.617 billion rubles (3.6% of the total revenue), however this revenue item almost tripled throughout the year. The reason for this was Rossiya airline charter program launch with the operator receiving 12 wide-body aircraft from the fleet of the bankrupted Transaero airline. Nevertheless, the annual results fell short of those of the first three quarters of the year when the group profit reached 43.797 billion rubles. In its annual report the group didn’t explain the reasons for such deterioration. However the same situation was with the group’s RAS net income. 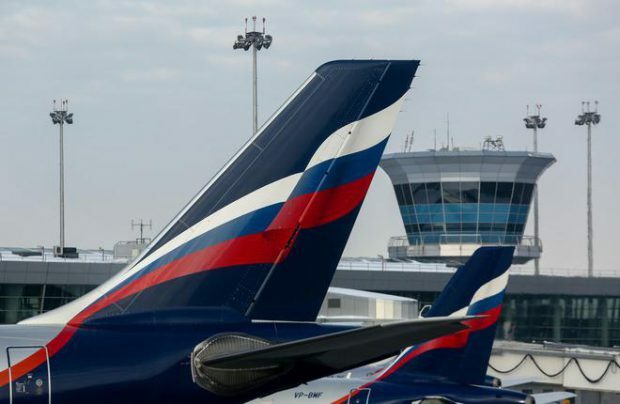 Commenting on the difference between the year income and three-quarter results, Aeroflot’s representative referred to the seasonal demand fluctuations and the strengthening of the ruble in the fourth quarter of the year. In 2016 Aeroflot group served 43.44 million passengers (+10,3% year-on-year). The passenger load grew by 3.2 percentage points, to 81.5%.